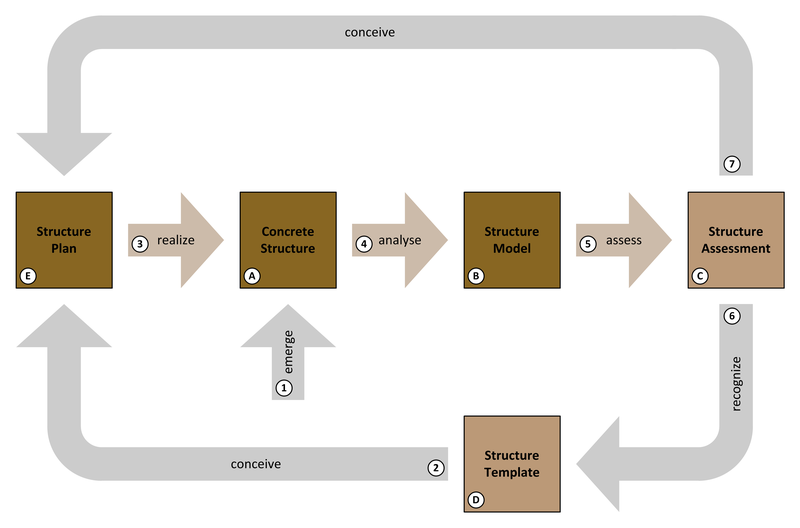 This entry was posted in architecture and tagged context, defining story, definition, enterprise architecture, story, storytelling by Kris Meukens. Bookmark the permalink. Indeed, context (enterprise) is very important! But just as with all journeys, if you take a wrong turn at the start of it, you will end up nowhere near your goal. And with the constructed hypothesis that “both design and architecture represent arrangement or structure” the very difference that Gooch eluded to is missed. Every man made material object is designed indeed and yes, even concepts, such as UML, are. But we all intuitively understand the core difference between say a hammer and a painting. The usual hammer is designed with different goals in mind then the painting! That is the core of the difference: the goal of the end-product’s effect on humans. And that is why “all architecture is design but not all design is architecture”. Design aims at the objective and practical end result, as does architecture, but only in part. Architecture aims at subjective perception..! The word ‘structure’ is used 38 (!) times in this post which suggests to me that the article confuses architecture with engineering. This ‘confusion’ is also enforced since the very word ‘engineering’ is used six times from the middle down in the article, and in such a way that it either seems to imply that architecture = engineering, or even that this article is really about… engineering. Taken this article in the broader context of Enterprise it must be evident that, even though structure and engineering are part of an Enterprise, these are not ‘the’ Enterprise, not even the core of it… Engineered structure does not cover “the total end result [of architecture] that reflects functional, technical, social, and aesthetic considerations”, not by a long shot. For all these reasons I even advise against the use of the word Architecture as a noun, other then maybe to refer to the effect that the end result of the Architecture process subjectively has on people. See my previous post on definition for further understanding of where I am coming from. Thanks a lot Paul, for sharing your thoughts. It may not seem obvious and is unfortunate but your comment is kind of what I feared as a response as I mostly agree with it. I share many of your concerns and will address them, but will do so from quite a different angle. First I need a build-up to arrive there. Indeed structure is key in my reasoning – that apparently became clear – but you seem to miss my point that I see enterprise structure primarily as “emergent”, not engineered. Moreover, a lack of structure, or an apparent lack of structure, is also a state of concrete structure. I have barely touched upon that so far so I would prefer that conclusions are not made too fast. Those are the so-called loose ends that I was already warning for. Anyhow you are keeping me aware. Just a thought. Is it a smart idea to tell about concepts used in building design when the concept that you try to describe has nothing to do with buildings in the first place? I have seen the usage of the explanation of the noun “architecture” in many books on Enterprise Architecture. Usually it is used to introduce the reader the concept of EA, but it rarely makes sense due to most people who are studying EA hasn’t experience with “construction and architecture” at a construction site. Perhaps a better analogy has to be used to communicating the process of designing the desired state for the enterprise’s architecture. It is just a thought. Nevertheless I think it is an interesting blog post you’ve written. Thanks for your interest and tweeting a link to this post. Nevertheless I think you misunderstood. Maybe my fault of not being clear enough. It was definitely meant to be about architecture in general, especially about architecture in general, not limited to one specific domain, neither building nor enterprise architecture. I just used examples of different domains to clarify. Today the word “architecture” is used in pretty different domains. Apparently many intuitively use the same word for “something” accross domains despite many perceived dissimilarities between those domains, and many continue to do so. I believe intuition is not misleading here, but that it is far from easy to capture the common essence clearly. I see it as a challenge to build the case, as a story, that the usage of the word across different domains is really justified. That is absolutely not to say that I believe that all architecture can be engineered, far from that. Designing the desired state for the enterprise’s architecture sounds a lot like engineering. I admit it will take far more than this post alone to reach that end. Anyhow I am not completely happy with this post in its first revision. Nevertheless I believe I am on the way of capturing something I have not seen well explained yet. I have been working on a new revision and publication will hopefully be not too long away. Thanks again, any feedback is really welcome as it helps me in getting things sharp(er). I would definitely be interested in your further thoughts. Thanks for your reply. I’ve misunderstood your intentions with the blog post. I assumed it dealt with the concept of Enterprise Architecture (as in Enterprise Engineering). In cases of Enterprise Architecture theory and books, the concept of the “construction site” or “building architecture” is used. As I see it, it is rarely a good analogy, since it is presented to people (including myself) who have never taken part in the construction of a building, and as such many theorists and authors spend a lot of energy comparing one form of architecture to another to give the readers an understanding of what Enterprise Architecture is all about with no apparent results. In many cases they waste their resources and effort due to the assumed audience don’t know much or anything about the building architecture and as such fails to recognize the “synergies” of the comparison of the different forms of architecture. E.g., Zachman does exactly this in one of his initial papers on Enterprise (IT) Architecture, despite his good intentions with the comparisons of architecture, it only makes sense to engineers, builders or (building) architects and not to those people who takes the decisions in the enterprises (CXOs, economists, administrators etc.). As I see it is important for theorists within the field of Enterprise Architecture to spend more resources and effort to explain what it means in order of organizing the organization (meetings, groups and business psychology) to gain the benefits of a structured approach to enterprise governance that in turn adapting the various standards, principles and ideas that is centered around the concept of Enterprise Architecture and Enterprise IT Architecture (as in Enterprise Engineering). It seems to me that quite a few of the theorists within the field of Enterprise Architecture and Enterprise IT Architecture thinks that the enterprises are like machines or buildings, when they in reality have to deal with people and their behavior, as such they should view the enterprise as something like a hybrid between machine and organism. Perhaps the scope has to be on ontology and behavior instead of engineering and architecture? But then again it is just an idea of mine.